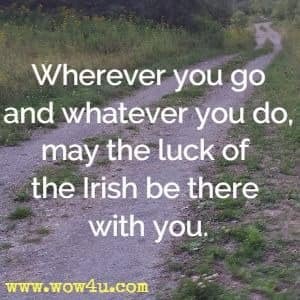 Share these St Patricks Day quotes with others on March 17th, the day which people all over the world celebrate St. Patricks Day. A day which Ireland celebrates St. Patrick. And you may ask who is St. Patrick? To quote Therese Duffy, "The Irish will certainly agree that St. Patrick was not a native Irishman. However, in his devotion to the Irish his love for them and his lifelong service in bringing them from paganism to the love of God, St. Patrick so exemplified the generosity, love and laughter of the Irish that he became an Irishman in spirit." 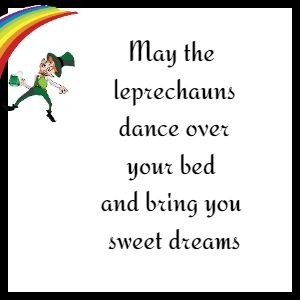 May the leprechauns dance over your bed and bring you sweet dreams. Have courage to take a chance. One thought of the shamrock makes the whole world akin. Bless your little Irish heart - and every other Irish part. 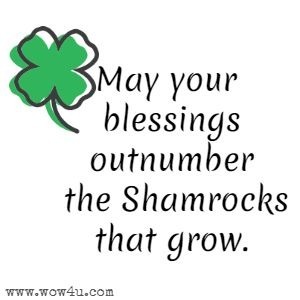 May your blessings outnumber the Shamrocks that grow. And may trouble avoid you wherever you go. Happy St. Patrick's Day! That no man may be hurt when I pass by. May take away or mar that act of thine. May the clouds in your life be only a background for a lovely sunset. May you never find trouble all crowdin' and shovin'. But always good fortune all smilin' and lovin'. If you can't get under, leap over the top, but GET. There's a bit of Irish blarney, and a touch of magic too. And a wish that all your dreams may come true in no time flat. 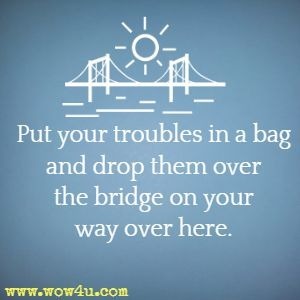 Put your troubles in a bag and drop them over the bridge on your way over here. 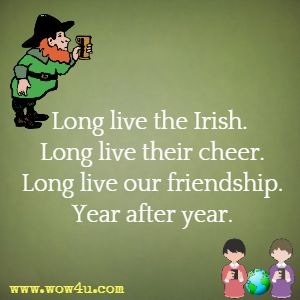 Long live the Irish. Long live their cheer. Long live our friendship. Year after year. Leprechauns, castles, good luck and laughter. Lullabies, dreams and love ever after. A thousand welcomes when anyone comes...That's the Irish for You! 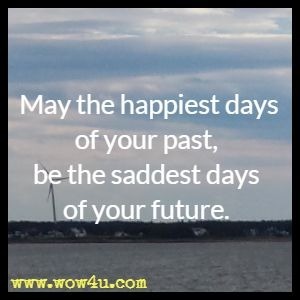 May the happiest days of your past, be the saddest days of your future. May God look down and bless you. 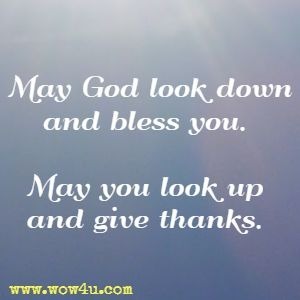 May you look up and give thanks. When St. Patrick's Day comes 'round. As they bloom all over town. Then you know what I mean. Would be answer to a dream. To last you all the way. On this St. Patrick's Day.